The Raza will stop flying after Syfy cancelled Dark Matter in 2017. Syfy is going back to outer space, and GateWorld is going back to the mic! Join us this week for a new installment of the GateWorld Podcast as David Read and Diana Botsford discuss the brand new Syfy Channel drama Dark Matter. It debuts this Friday — but we got a sneak peek at the first episode. 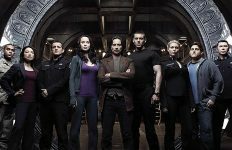 Dark Matter tells the story of the crew of a ship who awaken from stasis with no memories of who they are, or what their mission is. 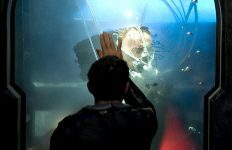 In our spoiler-free conversation we’ll talk about the new characters, first-glance similarities with SGU and other sci-fi favorites, and the moment in the episode when we got hooked. And stick around at the end of the show for a hint about a new project in the works from Diana and David. Don’t miss the series premiere of Dark Matter this Friday at 10/9c on Syfy Channel! Leave us a comment below, or post on the Podcast Feedback thread at the forum. 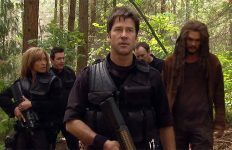 The GateWorld Podcast continues on an occasional basis — so stay tuned for more Stargate chatter and commentary! 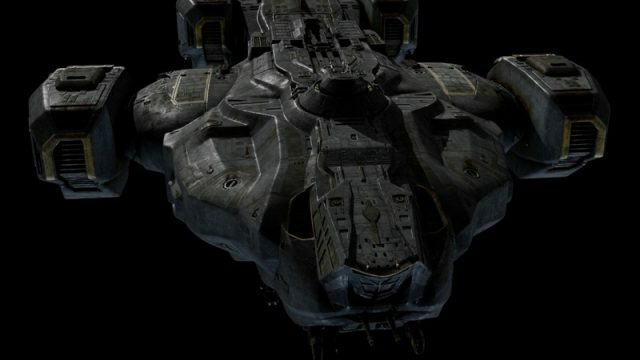 For more on Dark Matter visit the show guide at our sister site, SciFiStream.com! 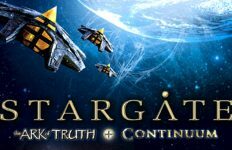 WHY, why, WHY can’t they just give us MORE STARGATE? i dont know, but dark matter just seems a bit cheezy, cheap green screen effects.expected better from mal and mul,probably spoilt by sg1 etc but lets see how it goes although a cant see it being renewed.